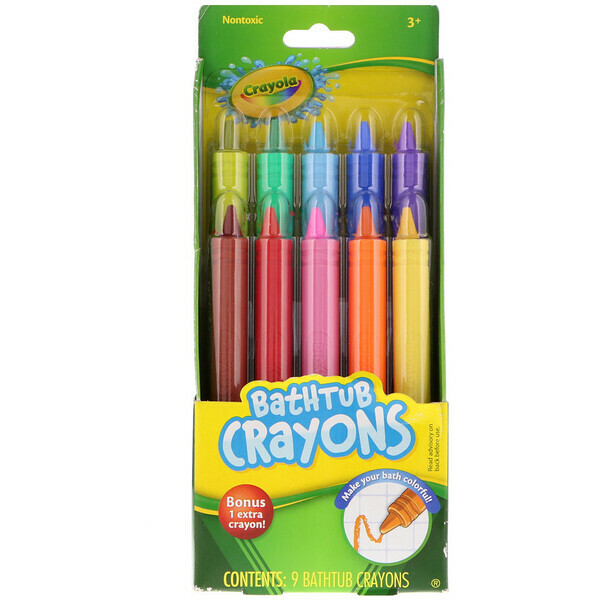 Bring out your child's creativity and imagination with Crayola bathtub crayons! Kids will have endless fun creating masterpieces on the tub or tile walls. 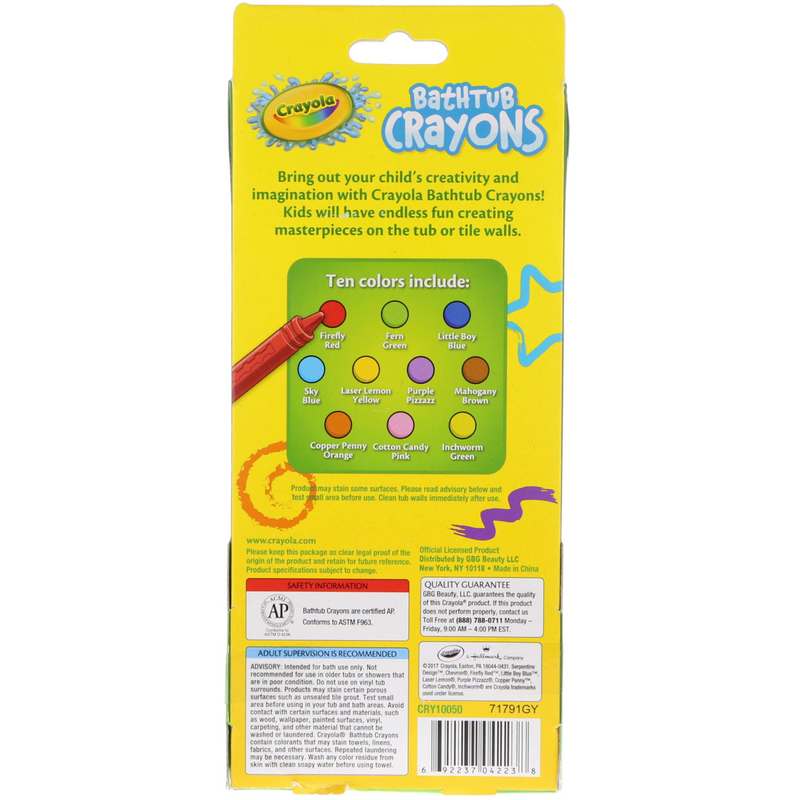 Tens colors included: Firefly red, Fern Green, Little boy blue, sky blue, laser lemon yellow, purple pizzazz, mahogany brown, copper penny orange, cotton candy, inchworm green. Product may stain some surfaces. Please read advisory below and test small area before use. Clean tub walls immediately after use. Please keep this package as clear legal proof of the origin of the product and retain for future reference. Product specification subject to change. Adult supervision is recommended. Advisory: Intended for bath use only. 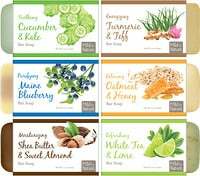 Not recommended for use in older tubs or showers that are in poor condition. Do not use in vinyl tub surrounds. Products may stain certain porous surfaces such as unsealed tile grout. Test small area before using in your tub and bath areas. Avoid contact with certain surfaces and materials, such as wood, wallpaper, painted surfaces, vinyl, carpeting, and other material that cannot be washed or laundered. Crayola Bathtub crayons contain colorants that may stain towel, linens, fabrics, and other surfaces. Repeated laundering may be necessary. Wash any color residue from skin with clean soapy water before using towel.